Fixed or operable acrylic block windows. True glass block windows. Decorative glass fixed or operable windows. Whatever you want, Carter Lumber can get for you. "We will sell whatever the builder requests," says Dan Daum, window program director for Carter Lumber out of Kent, Ohio. "All 140 of our locations can order Hy-Lite privacy windows for our customers, so builders can easily order them." What does Daum especially like about Hy-Lite's product offering? The options. "Hy-Lite products give Carter Lumber sales people upsell options to provide to our builder base," says Daum. 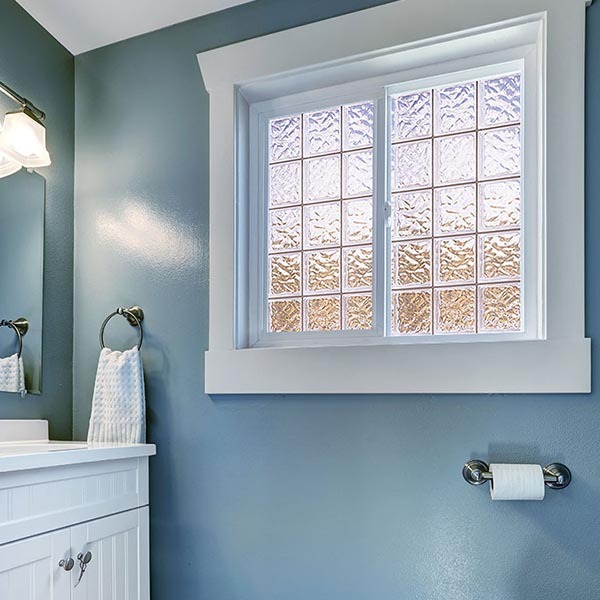 "Homeowners may want something different than a plain white vinyl window for privacy, and Hy-Lite provides that niche for us. Anytime we can upsell to Hy-Lite it turns into a win-win situation." Daum plans to add another Hy-Lite offering to the company's impressive list of products in the near future. "We're working right now to introduce the new Hy-Lite Designer Collection into our design centers," says Daum. "I believe the unique designs in this selection of privacy windows will find wide appeal for both builders and homeowners."